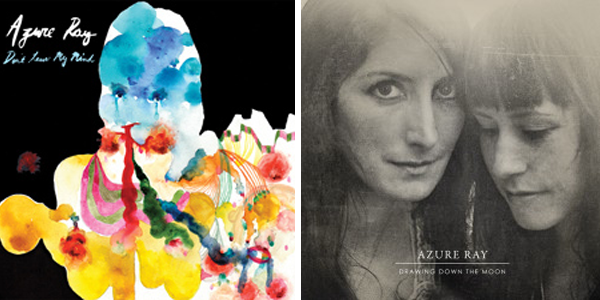 Maria Taylor and Orenda Fink have reunited bringing back their duo Azure Ray with a new album and tour. Although I haven't listened to their full album yet, their music in the past has been great chill music. "Don't leave my mind" in the video below reminds me of their previous vibe -- how many of you are fans? Happy Music Monday! Check out the album Drawing Down the Moon or also on itunes. love the artwork on the cover of the far left 1. so striking & colorful! thanks for sharing! Azure Ray is reuniting!? This is the best music news I have heard in so long. I saw them live in 2004, and it is still the best live show I have ever seen. When I first heard about this, I was so excited! I actually really do like the album. I've missed Azure Ray a lot, and I didn't even realize it until I found out they had come out with a new one. It's my first time to hear them, lovely music. Just hopping around! Horray! This is great news! I love them and was missing their music terribly. I'll have to scout out the album now. i'm sooooo excited about this. Azure Ray single-handedly got me through a break-up in 2004! Aw. I'm really excited. so super excited about this! thanks so much for sharing!